The beginning of New Plymouth’s musical renaissance began quietly enough, and once again Brian Wafer was the catalyst for it. In August 2011 Brian organised a record fair at the Senior Citizens Hall, the same venue in Liardet Street that had turned down the staging of the second Mushroom Ball. Vinyl prices were dead cheap, two or three dollars for most of it, so that was always going to help, but it was the presence behind one of the stalls of a guy called Mark Thomas that would turn out to be the significant factor. 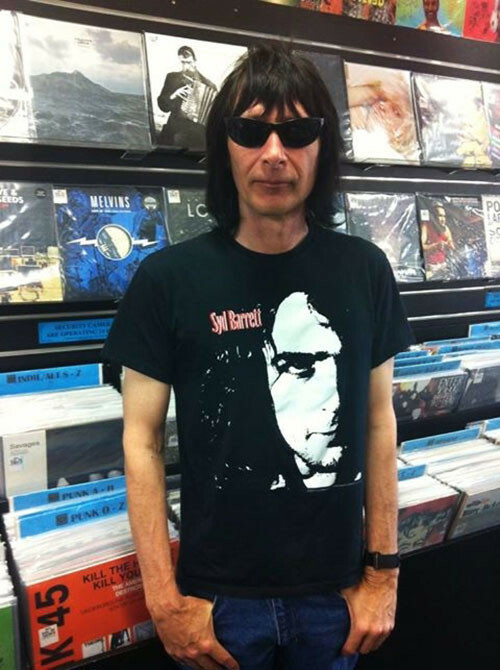 Sales and turnout for the event had been encouraging, and towards the end of the day the conversation turned to the possibility of Mark opening a music outlet specialising in vinyl, in New Plymouth, the city that he and his wife Kim had relocated to in July of that year. 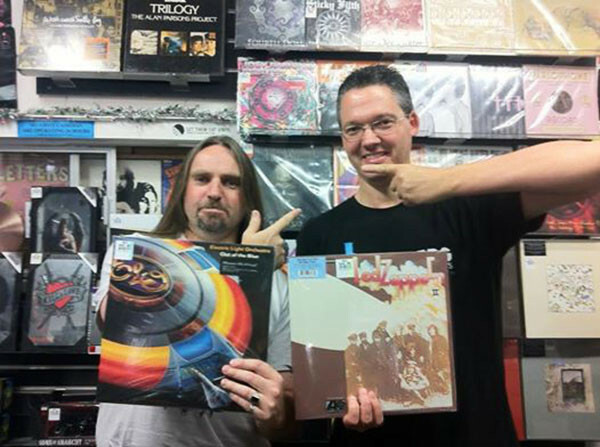 Formerly the owner of Real Groovy Records in Wellington, Mark had watched business in the capital slip away, and he was looking for a fresh start. But it was a gamble. Vinyl was yet to fully launch its comeback, and there was no way to know if the local populace would embrace the idea. Around the end of September the newly named Vinyl Countdown opened its doors in Brougham Street, in the same building where Brian Wafer had once located Ima Hitt almost 30 years earlier. “I took out a six month lease and decided to give it a go,” Mark recalls. “I didn’t really know if it would fly.” But the signs were encouraging and by the end of November Scotty Hansen, an outstanding staff member at Real Groovy, was brought up from Wellington to share the workload. The combination of both men was to prove pivotal. Scotty’s outgoing conversational skills balanced perfectly with Mark’s quieter, but highly knowledgeable, business skills, and once word got around that Vinyl Countdown had sourced outlets that could provide replacement stereo needles, and or, new or secondhand turntables, people began to see vinyl as a viable option when it came to purchasing music. Record sleeves had always been more appealing than CD cases, and vinyl had a depth and warmth that, for many, was superior to the sound of CDs, although there was a wide range of these in stock too, for those who still preferred them. By January 2012 business had grown to the point that a larger selection, and hence, a larger building, was required, and Vinyl Countdown moved premises to Devon Street West. The changeover required paying off the lease on the Brougham Street site, but this additional expense was overcome, and the higher profile generated by the shop’s main street location drew more and more customers through the door. 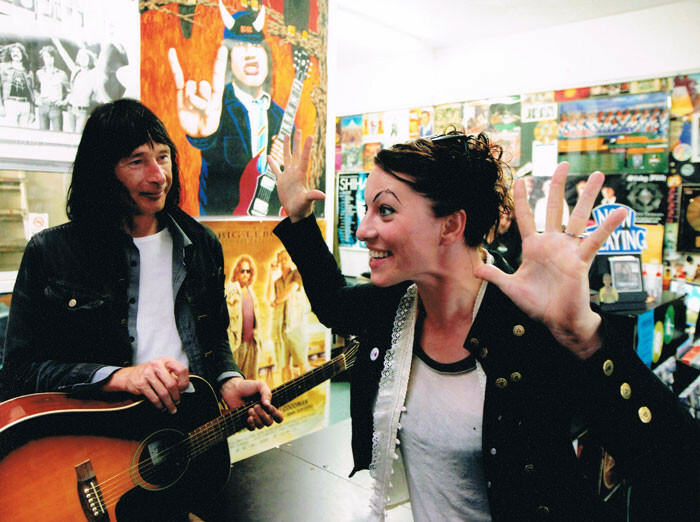 Within weeks of relocating Vinyl Countdown hosted its first in-store, on 31 January, when Amanda Palmer, fresh from her recently completed New Zealand tour with the Dresden Dolls, persuaded Peter Jefferies, who hadn’t played live for almost 10 years, out of his self-imposed musical retirement. They each played a solo set before combining on half a dozen covers to a gathering of about 40 people. Although audience numbers were not large this performance, which had only been organised the day before, represented Vinyl Countdown’s first real attempt at networking to its customer base, and showed Mark and Scotty were willing and able to pick up where Brian Wafer had left off. Their efforts to notify the Taranaki Daily News of the event were rewarded with a front page feature the following day, generating considerable publicity, and further in-store appearances by local artists continued to occur from this time onwards. As the year progressed the city received another essential boost to its culture when The Mayfair re-opened the large performance area at the back of the venue, which had been closed for some time. With an in-house PA available to those who were performing, The Mayfair’s capacity would allow for international acts such as The Buzzcocks to play New Plymouth, as well as more established New Zealand bands, including Devilskin and Head Like A Hole. Realising that a large capacity venue could be imposing for local acts that were still developing a fan base, the venue sensibly found a way to seal off part of the space when needed, to make an area available for shows that would draw a smaller, but loyal and regular audience. It soon became the hub of live performance in the city. New Plymouth’s night life improved, and CD and vinyl releases by Taranaki artists eventually increased, due in no small part to there being an outlet where the music could be sold, and a venue of sufficient capacity where it could be performed. Many people moved away from the temptation of free downloads on the internet, and returned to purchasing commercially pressed music. One of the first bands to tap into this expanded scenario was Darkwater, a four piece group consisting of Nathan Waipouri (vocals, guitar), Merran Dixon (bass, backing vocals), Ric Tucker (guitar) and Dan Christiansen (drums), who had released their first full-length album, Only When It Does It Will, at the beginning of the year. Darkwater: Dan Christiansen, Merran Dixon, Nathan Waipouri and Ric Tucker. New Plymouth received a further infusion of vision and energy when Rival State returned. 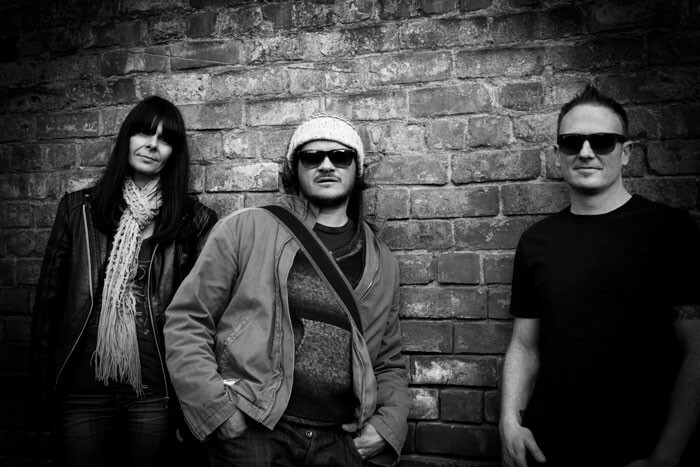 The intervening years had seen drummer Salvi Stone depart, to be replaced by Valdi Einarsson, and singer Luke Van Hoof joined the band, only to depart when the remaining members decided to try their luck abroad. While there they had experimented with various vocalists, while Luke spent time in Kids Of 88, but after several years of relocation all involved found themselves back on home soil, and they were ready to join forces again. 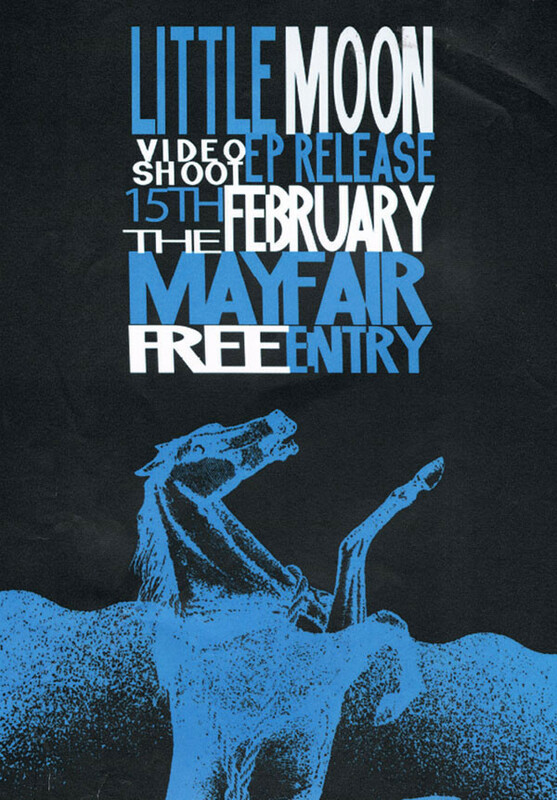 The band’s time in the city added a considerable amount of voltage to a scene that was already on the up, and The Mayfair was at full capacity for their album release show in October 2012. Released through Shock Records, Apollo Me, reached No.1 on the [domestic artists only] Top 20 NZ Album Chart, and No.10 on the NZ Top 40 Album Chart, with the three singles taken from it all going Top 10 throughout the following year. The band made numerous TV appearances, not only with their music videos, but also live. Their acoustic “unplugged” performances, in particular, highlighted the strength of their songwriting, which shone through even without their characteristic sound. 2013 saw several more notable releases, or reissues, by local artists. Sticky Filth reared their head again, combining forces with Vinyl Countdown to issue the 7” single ‘Weep Woman Weep’ b/w ‘Happy Birthday’. The single, which marked the 25th anniversary of the A-side’s original 1988 release, was pressed at United in the US and signposted the expansion of the record shop into a label. The band’s popularity, combined with Mark and Scotty’s excellent networking saw it reach No.10 on the NZ Singles Chart, a phenomenal achievement when you consider that the bulk of the sales came from just one shop. 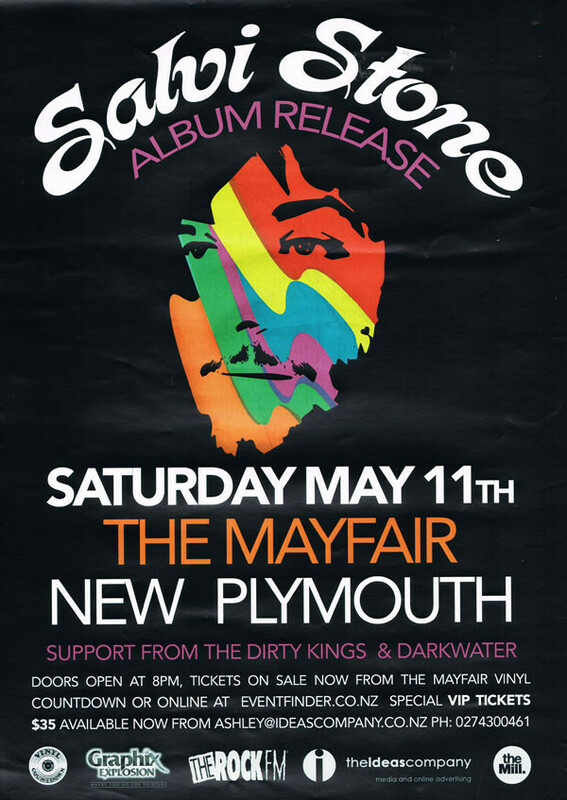 Former Rival State member Salvi Stone put out his self-titled album with a well-attended launch at the Mayfair on 11 May, and the video for the single ‘Stay Honey Stay’ achieved high rotation on television video channels throughout the year. The Dirty Kings, who must have played more local shows than any band in town, released their one and only album, Red Light Sessions, before disbanding. Peter Jefferies’ debut album, The Last Great Challenge in a Dull World, which had initially been released in New Zealand on cassette by Xpressway in 1990 before being issued on CD and vinyl in the US by Ajax Records, was given renewed life by Minneapolis based De Stijl Records. Named “Reissue of the Week” by major US online magazine Pitchfork, the album received glowing reviews worldwide, and reached No.2 in influential UK magazine The Wire in its end of year survey. The picture in the magazine of Jefferies standing in front of the album racks in Vinyl Countdown was taken by Mark Thomas. The most notable new band to emerge first appeared towards the end of the year. Little Moon, a two piece group consisting of Salvi Stone (vocals, guitar) and Brendan Mills (drums and occasional vocals) turned heads from their very first appearance. Little Moon’s “less is more” approach was refreshing. Their appeal extended across the generational divide that can often limit a band’s popularity, and along with Darkwater, they became a staple of the local live music scene. 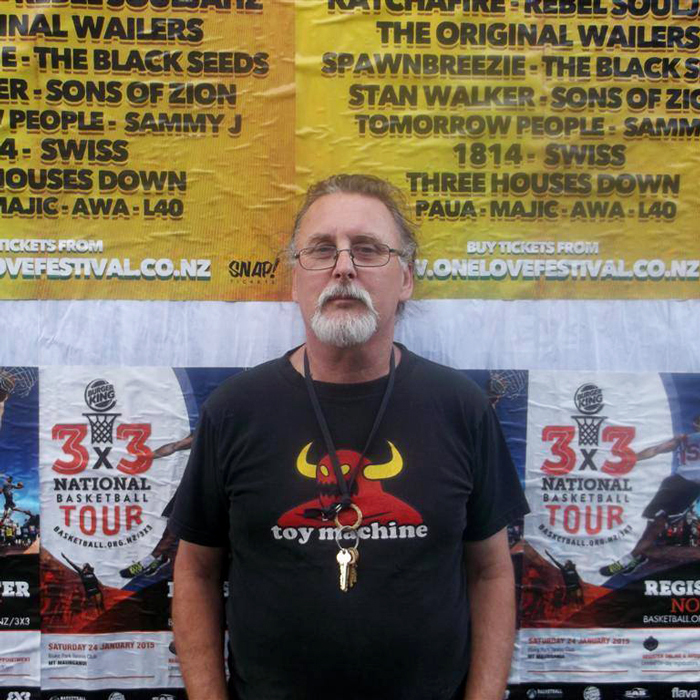 As the year progressed they extended the range of their audience, playing shows in a number of North Island locations, the most notable of which was to a packed crowd at the Kings Arms in Auckland, sharing the bill with Peter Jefferies and Shayne Carter. The band performed in its own right, as well as backing Jefferies at the end of the night (they were billed as Substatic for this portion of the show). Carter also reappeared for the two closing numbers. 2013 also saw the opening of a new venue, Rhythm, which added to the prospects available to local bands, and, for a while at least, helped fill the gap that had been left by the closure of the Basement Bar, a venue that had hosted many memorable live shows in the past. 2014 saw the momentum from the previous year continue. 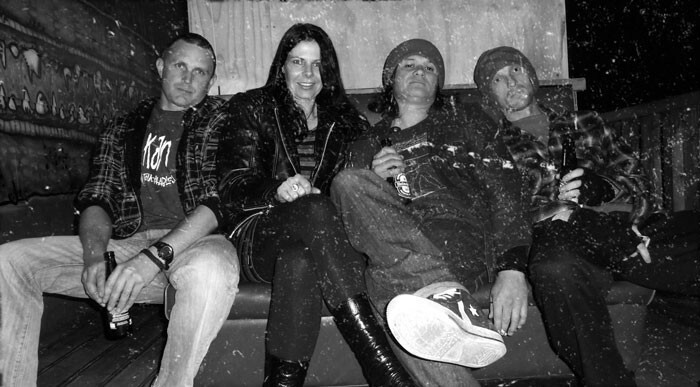 Darkwater’s status had risen to the point that they were able to anchor a considerable amount of live shows, allowing bands with lower profiles and less material to join them as supports, and they began to extend their reach nationally. They released a four song, self-titled EP towards the end of the year. By then drummer Dan Christiansen had departed, to be replaced by Ross Kilgour; Ric Tucker had also moved on. Deciding they no longer required a second guitarist the band continued as a single guitar, three piece unit. 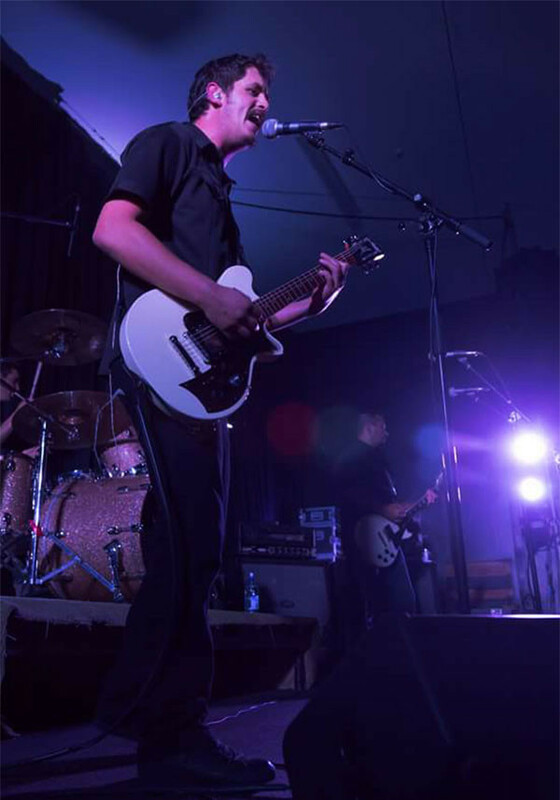 This transition initially caused problems, with Nathan Waipouri having to adjust his sound to retain the depth and texture that the band required, but new amplification combined with some well-chosen effects pedals and the addition of some strong new material saw Darkwater emerge better than ever. Little Moon also released a four song self-titled CD and seemed destined for greater things. But by 2015 the band was put on ice when Salvi Stone departed for Melbourne, leaving a noticeable dent in the atmosphere. However the gap was quickly filled by Brendan Mills who reemerged, this time as front man on vocals and guitar, with a new band, Stone Grilled Lizards. 2014 also saw the vinyl release of Sticky Filth’s album Fourth Domain, which had initially appeared as a CD only release in 2011. Once again Vinyl Countdown provided the means for this to happen. Rival State relocated to London, where they continued to build on the success of Apollo Me, and later in the year they released the EP Youth Tax. Peter Jefferies’ second album, Electricity, was reissued on vinyl by San Francisco label Superior Viaduct, and reached No.6 in the end of year survey by TVD, an umbrella organisation for retail outlets in the US, Canada and the UK. Souls Of Hades – Janick Peters (bass), Benjy Ratford (guitar), and Troy Weston (drums, vocals) – released their debut album Riders Ov The Dark and The Blistered Fingers, who had formed in 2012, expanded their territory, and were soon playing up to four shows a week. Slotcar released their debut, EP, and followed it with EPII. In November Souls Of Hades performed at Rhythm as part of a multi-band gig that included Horror Story, a group that had been in existence for over a decade. With an impressive list of releases (beginning in 2001 with Monsterpiece), on their own label Demon Nation, Horror Story had carved out their own niche on the local scene, and had seen their work pick up distribution in the US, Canada and Mexico, through Crypt of Blood Records, and in Germany via Fiendforce Records. Broadsword Comics had included them in two publications, reviews and articles had appeared in a variety of music publications, including the UK’s Metal Hammer and Australian Kerrang! magazine, and their videos, showcasing the bands love of B-grade horror imagery, had screened on television. The band’s relentless output in both live and recorded mediums, and their well-crafted visual aesthetic, had seen them rise to become a significant force in the Horror Punk Movement and the sweat was “dripping off the walls” of the venue by the end of the night. In 2015 Shayne Carter and Peter Jefferies’ 7” single, ‘Randolph’s Going Home’, was reissued by Flying Nun/ Captured Tracks and reached No.6 on the Top 10 NZ Singles Chart [domestic artists], and No.11 on the NZ Top 20 Singles Chart, a considerable improvement on its chart peak of No.52 when it was first released. Jefferies performed his second in-store at Vinyl Countdown on International Record Store Day to promote it. 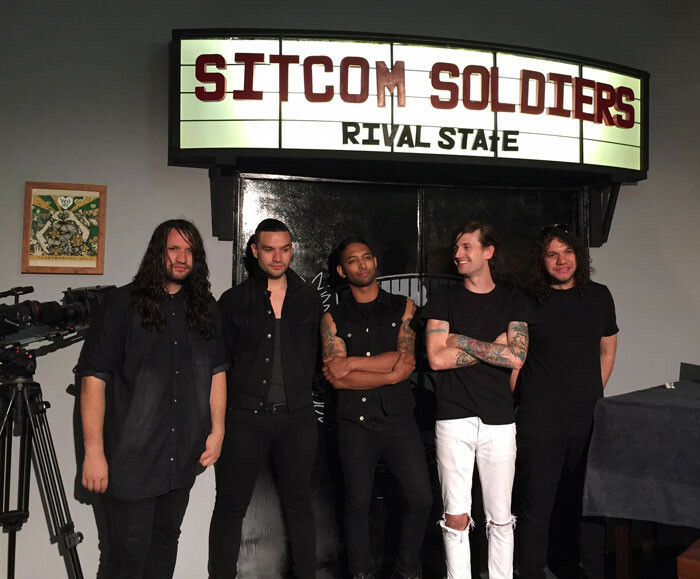 Rival State, who had been receiving a wave of excellent press coverage, issued the EP Gutter Mouth, and played a succession of UK dates, including the Download Festival and a support slot for The Who. By this point the band had been signed to Twilight Zone Management, and it was becoming clear that Rival State were gaining a genuine profile, and a large amount of interest, in Europe. The Nod showed that their legend remained undiminished when they played at The Mayfair for the launch of their Best of… CD. The gig drew a capacity crowd, the majority of which arrived early, allowing Stone Grilled Lizards, who played their first show as support, to debut to a packed audience. They followed this show with a second appearance at the same venue about a month later, opening for Racing. Once again the bulk of the audience had arrived early to see them and it wasn’t hard to understand why. Brendan Mills’ sensibilities as a drummer reflected in his songwriting, which combined intricate time signatures at appropriate moments, with fluid and propulsive bass lines. These blended together with skilful interplay between the two guitars and the distinctive vocal delivery was well-pitched and memorably structured. The sound was powerful but never bombastic; eloquent but free of any unwarranted displays of technique, and very impressive. But the most heartening development was the continued appearance of acts who were barely, or in some cases not even, in their twenties. Thamasis, who had gone through a few line-up changes before consolidating as a three-piece (Waru Hetet, vocals, guitar, Tobias Orr, bass, and Sean Gillespie, drums), were all still teenagers when they played at The Battle of the Bands at The Mayfair. Llamas At My Funeral combined rap with metal to produce a compelling hybrid, and Abby Christodoulou, only months after her final year at Spotswood College, made her television debut when she appeared on X Factor, first as a soloist, and later with Hannah Cosgrove in the duo Mae Valley, who were subsequently signed to Sony Music. Josie Hick was still at school when she graced the self-titled debut album by The Blistered Fingers, which came out towards the middle of the year, and musicians such as Jannaha Henry, who had not yet reached 18, took up busking as a means of performing live. The old guard was still there too. 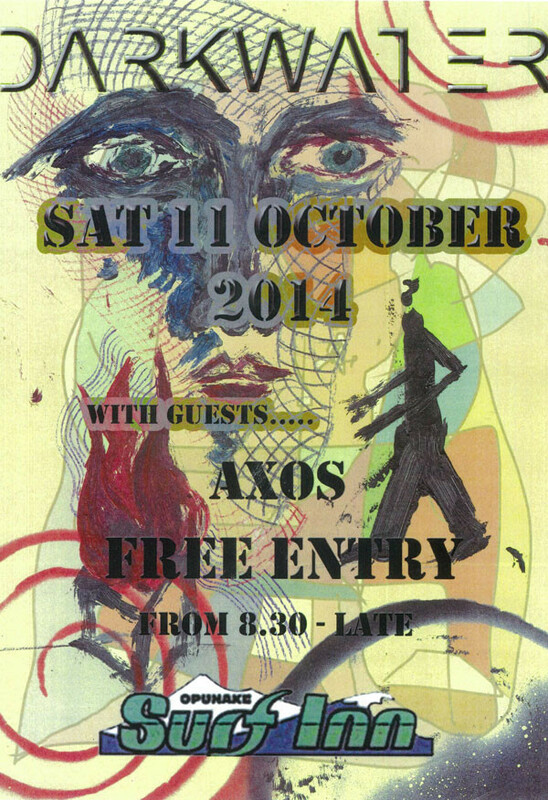 Sticky Filth continued to make sporadic live appearances, and Peter Jefferies could now be found drumming in Axos, a band that included Douglas Goodwin (vocals, guitar) Johnnie Phillips (guitar), Larry Henry (keyboards), Justin Rangi (guitar), and Maurice Paurini (bass). 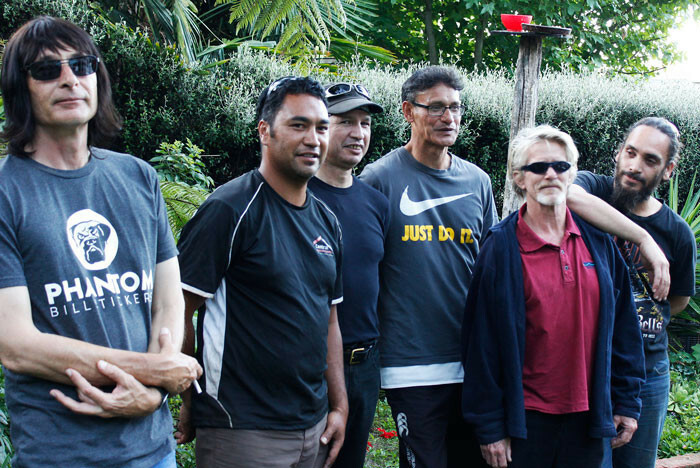 Axos: Peter Jefferies, Justin Rangi, Douglas Goodwin, Maurice Paurini, Larry Henry and Johnnie Phillips. Leishman added that “the first step was to find a venue willing to come to the party,” and that “the Mayfair, which is fitted out with a purpose built performance area, was keen to be a part of the live gig revival. It’s about getting more people to shows, to support these bands and encourage the scene to be what it has been before,” she concluded. Leishman’s point was well made, but it was a cry that could just as easily have been heard in any city, in any country, around the world. People now had considerably more choices when it came to how they spent their leisure time than in years gone by. The live band scene had felt the impact of this more and more over the years. It didn’t matter how many venues you had if you couldn’t fill them. If it did, then the White Hart, Basement Bar and Rhythm wouldn’t have had to close in the first place. Local audiences could often tire of going to see the same band over and over again, unless that band could come up with a valid reason for them to do so, and the further lowering of permissible alcohol levels, which were already far lower than they had been in days gone by, meant punters couldn’t consume very much if they still wanted to drive their own vehicles home at the end of the night. For some, the ”good times” were becoming a fading memory, and many chose to either stay at home, or at the very least, go out less frequently. What was seen as apathy by some was perceived as frustration, or even rebellion, by others. A lack of venues is only truly critical if you have none at all, and the Mayfair’s ability to host large or smaller crowds, and more importantly, to remain open, at least meant that bands still had somewhere to play in New Plymouth, even if that might be less frequently than some of them would like. They also had a retail outlet for their recorded work. New Plymouth’s music scene currently enjoys a wide range of acts that perform original music, with styles and genres that spread across all ages, and with better networking than it has had for some time. It’s a far cry from the days when Nocturnal Projections struggled to find even one other band that played original material to support them. The audiences that attended their shows on a regular basis had no other choice if they wanted to see original music performed live. That’s not the case today. The posters around the city testify to the available options. The guy who puts the bulk of them up is New Plymouth’s longest serving local legend. His name is Brian Wafer.